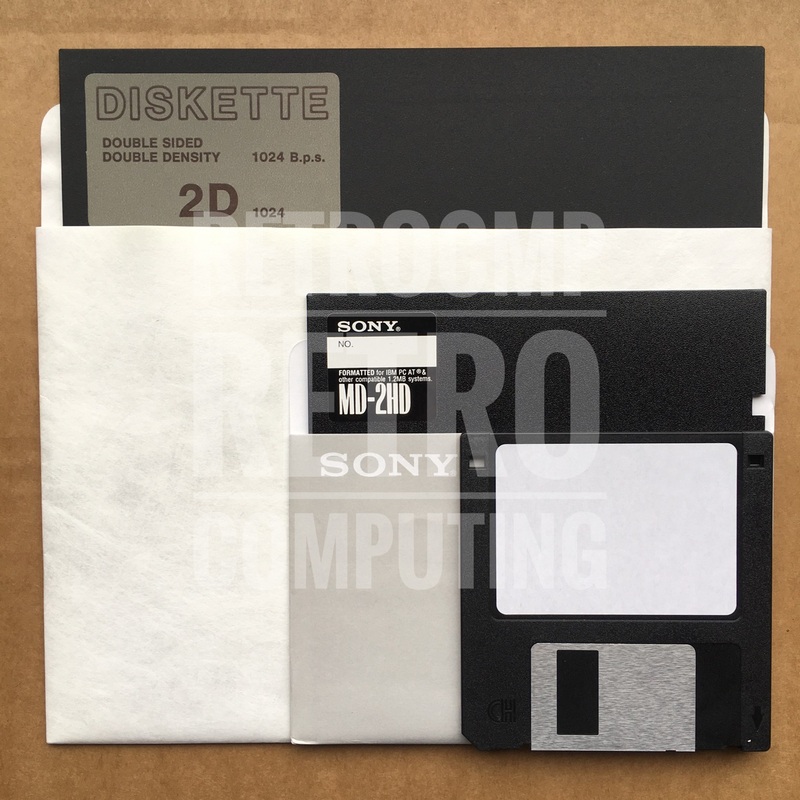 A goal of my retro computing is the connection of an 8 inch floppy drive to a DOS PC. This is basically possible, but not so easy to accomplish. A hurdle are the drive parameters, since DOS actually does not know 8-inch drives. Remember, IBM (PC-DOS) has never supported 8 inch floppy drives! DRIVPARAM is required whenever the floppy disk drive does not conform to the standard in which the system is installed. The command sets parameters when DOS is started to change the original DOS device drivers set. I do not want to go into all the parameters here, just the form factor index [/ F: factor]. This indicates the type of drive. The default value is 2. The following table can be found in all DOS manuals from about Version 4.01. But here are two values missing, namely the 3 and the 4! However, if you look into a manual for versions 3.0 to 3.3, e.g. the Markt und Technik - Schnell PC Uebersicht (1988, page 252, ISBN 3-89090-567-6), then even the numbers 3 and 4 appear. Behold! Here we have a first hint that it is basically possible to integrate 8 inch disk drives in DOS. First of all the hint, that I managed to connect an 8 inch drive to the PC. It is running and access under MS-DOS (1.25, 2.11, 3.20, 4.01, 6.22) works! I have tried several times to set up an 8 inch drive in MS-DOS version 3.20 with 77 tracks using DRIVPARM (logical) or driver.sys (physical). I did not succeed! MS-DOS and FORMAT has always something to suspend with the parameters or you get the error message track 0 not found or invalid medium. This way seems to be obstructed. In the meantime I have read a lot of blogs and articles on the internet (Dave Dunfield, Herb Johnson, John Wilson - D Bit, ...). All information indicates that a native DOS access is not possible! First, it is the PC controller and/or second it is the BIOS, which makes access impossible. Among other things, it is the 512 byte/sector that is fixed in DOS. However, the 8-inch drives require either 128 or 1024 bytes per sector. Thus, only the trick with the 1.2 MB drive and the lacking 3 tracks appears to work. This trick works fine. I have no problems in acessing, formatting, booting ... my various 8 inch drives. I have found the decisive note in the Microsoft Knowledge Base Articles that only those formatting parameters are possible, which are also supported by the BIOS! This is very important! Have a look at: Q35766: Supported Values for FORMAT /N and /T Switches. It is not possible to run (FORMAT, DISKCOPY, ...) a 8 inch drive in PC- or MS-DOS with 77 tracks, i.e. in it's origin format (128 byte/sector or 1,024 byte/sector) without the help of other hard- and/or software! Only with the CompatiCard Part it is possible to use the logical 8 inch format with 77 tracks, 26 sectors/track and 128 byte/sector. The official format with 77 tracks, 8 sectors/track and 1,024 byte/sector is only supported with UniForm! You do not need a CompatiCard. Uniform will do.